Rosemary ‘Tuscan Blue’ is a rosemary variety known for its bright blue flowers and intense foliage fragrance. Flowers can emerge sporadically from spring through fall. While rosemary is of course a favored culinary herb, it’s also a hardy landscape shrub. The fragrance of rosemary can’t be beat and is best enjoyed in a space where guests can take advantage of its wonderful scent. This is a large variety and plants can grow up to 6-feet tall. However, ‘Tuscan Blue’ has a very narrow growth habit, which makes it very useful in smaller urban landscapes. Plant in rock gardens, use in mass plantings, add to containers and even plant seaside. Because plants are evergreen they can also be used to create a low privacy screen or natural hedge. Tip-prune yearly to keep a tidy shape, or shear annually to maintain a more formal shape. Rosemary needs a full-sun location with good soil drainage to look its best. 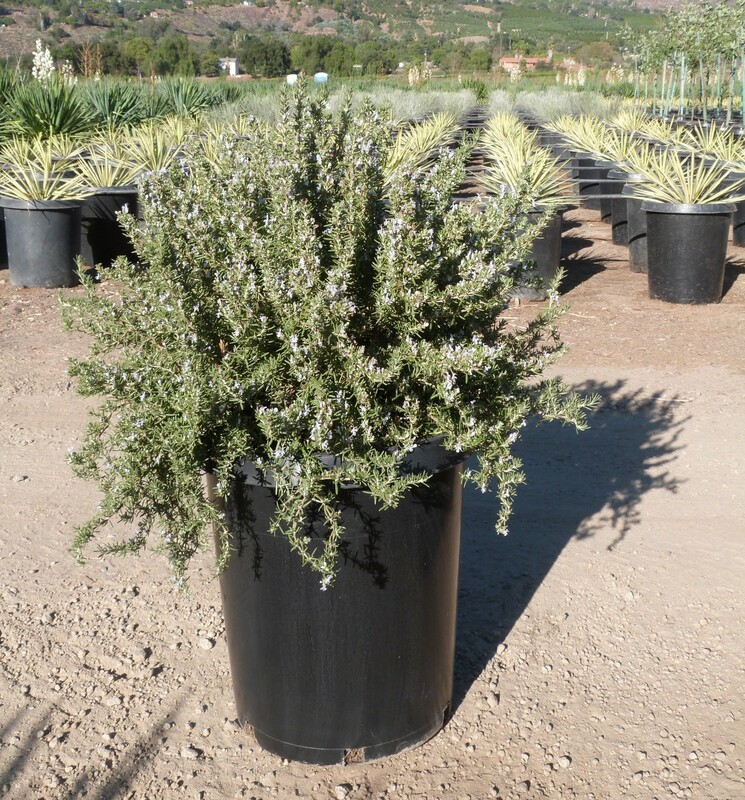 Plants are very heat and drought tolerant once established. They are especially tolerant of reflected heat from hardscape surfaces. ‘Tuscan Blue’ is deer resistant, but attracts loads of bees and butterflies.